I found this nice defensive look by Michigan versus Purdue in their 2009 game. 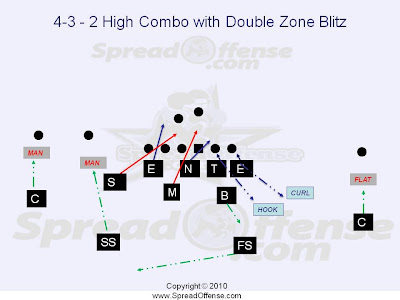 Purdue's offense is in a 3rd and 5 situation, mid-field and they come out in a 3x1 (with TE) shot gun spread formation. Michigan is in a 4-3 "2 high" look pre-snap... but watch all the action once the ball is snapped by the defense. 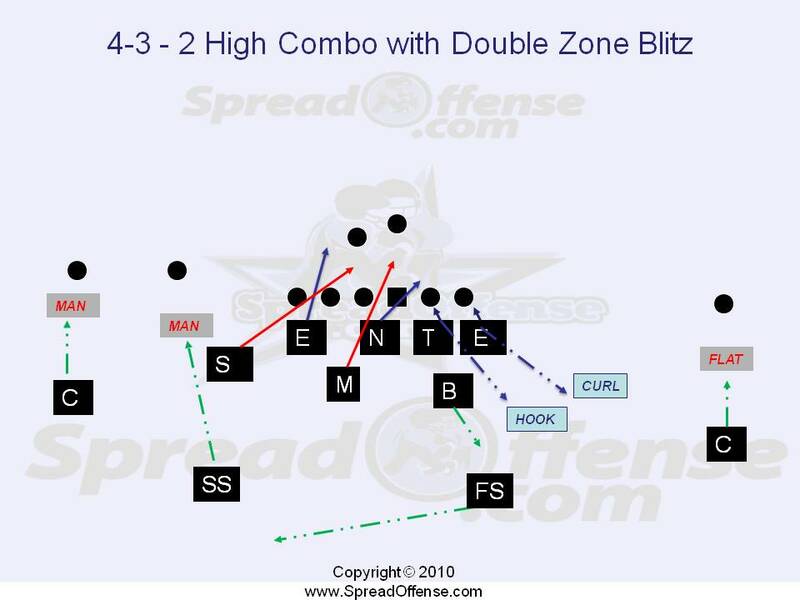 Michigan runs a double zone blitz on the right side, the open side of the offense, and basically bring the kitchen sink to the field (or strong side) of the play. I diagrammed the look below. Some really exotic stuff here by Greg Robinson, Defensive Coordinator at Michigan.